Hi friends!! 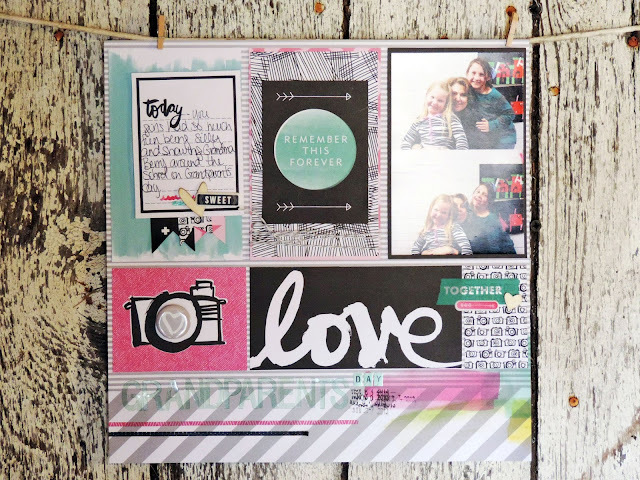 I;m here today to share the newest sketch at Creative Scrappers with you!! So many possibilities!! Love it. Here is my take on this awesome sketch by Kristine! I tell you what, I had a heck of time getting this photo ( hence why it's hung on the board this week, lol). The photo still ( in my opinion) doesn't do it justice. This sketch was a different look for me, and I really had fun keeping it simple, and this is probably one of my favorite layouts in awhile! Love, love, love this Plus One line by Amy Tan!!! Thanks for hopping in today!! Have a great Sunday, and take time to create something you love!! Great layout! Love this collection~!